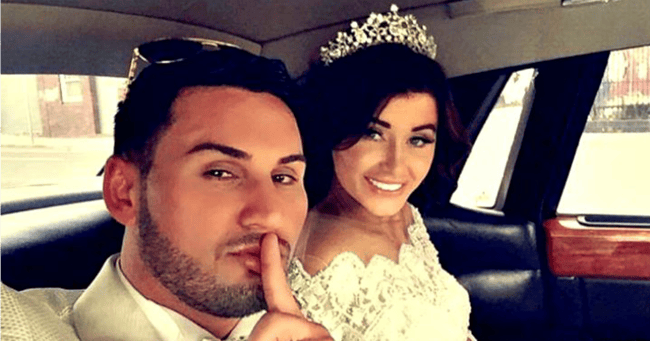 'Only death will do us apart': Salim Mehajer's creepy response to reports of wife's AVO. Disgraced former western Sydney councillor Salim Mehajer has hit back at reports that his wife Aysha had taken out an apprehended violence order (AVO) against him, accusing the police of having a vendetta. The former Auburn deputy mayor is expected to face court tomorrow, just weeks before the couple’s one-year anniversary, after the NSW police lodged an application for an AVO on behalf of Aysha. But Salim claims he is the victim of a police witch-hunt. “Aysha has NOT taken out an AVO against me. The police are pursuing for an AVO,” Salim told news.com.au. “The police seem to have nothing better to do then follow our footsteps (sic),” he said. Salim also insisted his marriage was not failing despite the pair not being seen together in public for months. “As mentioned before, only death will do us apart (sic),” he said. He also stressed a couple photo he posted to Facebook on the weekend was a recent picture. Salim and Aysha have dominated headlines since their lavish Sydney wedding last August, which shut down a busy road and prompted investigations into the council, ultimately leading to Salim’s indefinite suspension. Earlier this year police were called to Aysha’s sister’s home after Salim was allegedly “yelling and screaming at the door”, but he denied the pair were estranged. In March, Salim threw an extravagant party rumoured to have cost $50,000 for Aysha’s 30th birthday, but it was unclear whether she actually attended. AVOs have previously been lodged against the property developer by others, including personal trainer Bruce Herat and his reported brother-in-law Ben Miller.